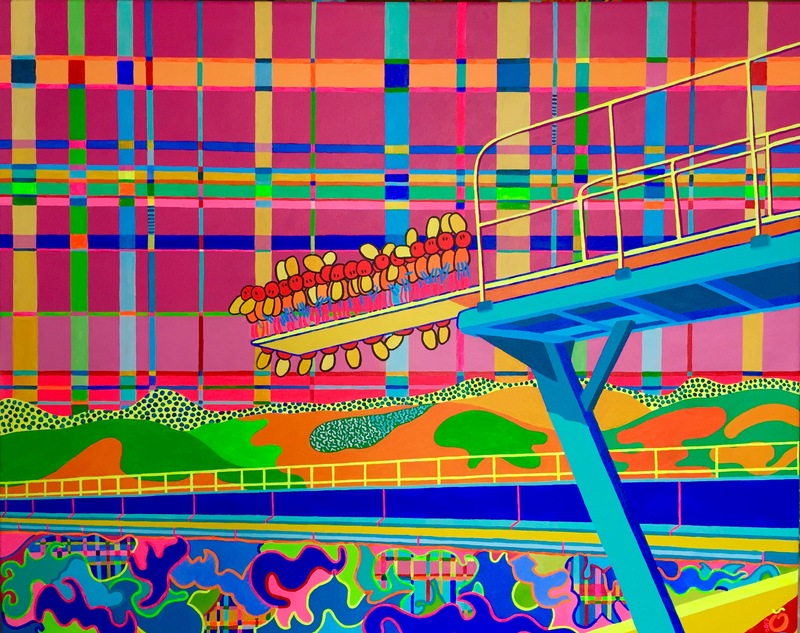 I wanted to create a painting which shows the original look and feel of a high diving board. My subject is a lonely swimming pool, mountains on the horizon and an intense sky. And silence. The excitement of the first time, standing together on a diving board. Waiting to jump and experiencing the immense hight above the water. But not only that. At the same time, the diving board opens as a beautiful vantage point. Where you can see and feel the movement of the environment in an intense way.